CPM, Ireland’s leading field sales company, takes a look at the Irish retail news for this week. Every Wednesday we share the recent announcements. This is a one stop shop for all your Irish retail news. If you would like to receive our monthly newsletter which will include all Retail articles for the previous month, including "Retail at a Glance" subscribe today. The European Consumer Centre in Ireland is issuing advice on online shopping rights for consumers looking to buy online over the coming month. As we approach the end of November, many consumers will be planning their Christmas shopping. A significant number may be looking to buy online, with recent research indicating that a majority of consumers consider buying over the internet a cheaper and more convenient option than traditional shopping. 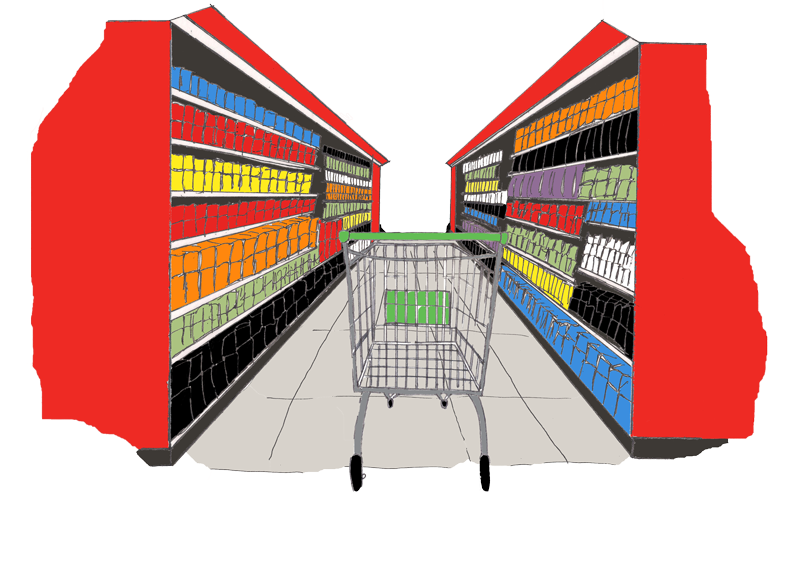 Consumers spend the equivalent of 16 days a year in shops - including over 100 hours in grocery stores. And the vast majority have said they would like to see labels on all food telling them where it comes from. A new survey by Love Irish Food found that 95pc of consumers would like to see country-of-origin labelling on all food and drink products, with 87pc trying to buy Irish. Over two-thirds (68%) of Irish consumers buy some sort of seafood at least once a month, according to the latest Consumer Insights survey by Empathy Research. Of 1,122 participants, it was the 35+ age group that were most likely to buy seafood this often. The Irish grocery market has seen its sales grow at the fastest rate since June, rising 1.1% over the past year. This is according to the latest supermarket share figures from Kantar Worldpanel in Ireland, for the 12 weeks ending November 9. SuperValu has beat off competition from other brands to win one of Ireland’s most coveted business awards. Marketing director Ray Kelly has been named Marketer of The Year 2014 at a ceremony held in Dublin. Some 200 small food producers will secure retail listings worth €10 million with Supervalu, through the Food Academy programme in 2015, it was announced today. Food Academy is a joint initiative between Bord Bia, the Local Enterprise Office Network and Supervalu to support small food companies in Ireland. Peacocks - the UK retail fashion chain specialising in women's fashion and accessories, menswear and children's wear - have announced the opening of three new Irish stores in Waterford, Carlow and Omni Shopping Centre, Dublin, before Christmas. Daybreak Dungarvan, Co. Waterford, has been named Daybreak Store of the Year. The store, which is owned and managed by Kevin Forde, scooped the top accolade at Daybreak’s annual Store of the Year awards at Killashee House Hotel on Thursday, 20 November. A new Tesco Express store has opened on Aungier Street in Dublin's city centre creating 13 jobs. The 23rd Tesco Express store to open in Dublin and the 36th store nationwide, it measures over 235 sq m and has over 500 metres of shelving. Tesco Ireland has launched ‘Your kind of Christmas’, a campaign celebrating the traditions and idiosyncrasies that make each Irish household’s Christmas special. The campaign follows a fictional family through four Christmas moments from festive entertaining to unwrapping presents to preparing the turkey and sitting down to the main Christmas meal. Dublin’s Disney Store partners with Children in Hospital Ireland to donate soft toys as part of its Letter to Santa campaign. This year, Dublin’s Disney Store is supporting Children in Hospital Ireland (CHI), for its annual ‘Share the Magic’ charity campaign, which launched last night in Ireland with celebrities and their families attending a special event at Dublin’s Grafton Street Disney Store. Lions Clubs International and Tesco Ireland have launched a nationwide Christmas Food Appeal that will take place on Friday and Saturday, 5 and 6 December in all 147 Tesco stores across the country. Aldi has launched a new range of fresh organic fruit and vegetables, which the discounter says allows consumers to buy produce from certified organic farms, minus the premium prices. Grown without any synthetic chemicals and pesticides, Aldi’s new “Organic Fresh” range is now available at its 112 stores nationwide. Robbie Williams' menswear brand Farrell has teamed up with high street brand Primark to launch a new 30-piece collection. He has collaborated with the retailer for a capsule collection inspired by his grandfather Jack Farrell. A significant increase in the number of Ireland’s microbreweries has occurred in the last two years, according to a new report commissioned by the Independent Craft Brewers of Ireland (ICBI). It is estimated that there are 33 microbreweries operating in Ireland, the majority of which are microbreweries engaged in own production. Kerry Group is likely to focus more on its branded chilled portfolio, which includes brands such as Cheestrings and Matteson's, should the disposal of its frozen foods business take place, according to Liam Igoe of Goodbody Stockbrokers. Convenience foods group Greencore has posted an impressive set of results for FY 2013/14, with the business seeing its sales grow by 7.4% on a like-for-like basis to £1.27 billion (€1.61 billion). As we move into the last quarter of 2014, the Northern Irish market is finally showing signs of growth. There is an increase in consumer confidence, a wider economic stability, more realistic retail rents and a willingness on the part of landlords to offer more flexible terms and greater incentives to retailers as significant contributory factors.